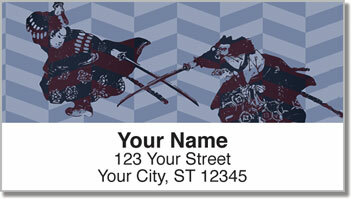 The ancient warrior arts of Asia are celebrated on these original return address labels from CheckAdvantage. While both ninjas and samurais have some similarities, their philosophies on combat are quite different. While the ninja is a stealthy spy who can slip away in the cover of the dark, a samurai was considered a noble fighter - somewhat like a European knight. 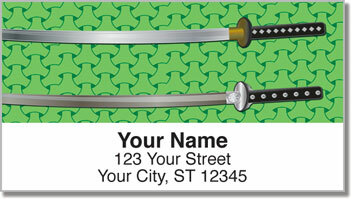 Ninja & Samurai Address Labels depict both of these styles along with eye-catching weaponry. 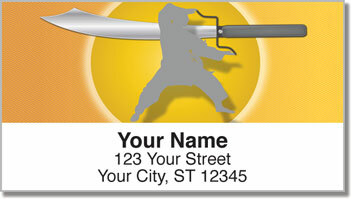 Put this product in your arsenal of time-saving tools and you'll never have to scribble your name and address on an envelope ever again. Just peel and place your new self-adhesive labels. 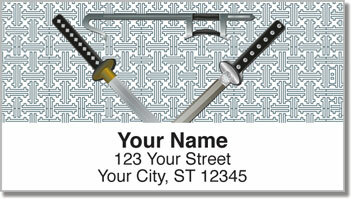 Get your own Ninja & Samurai Address Labels today! Complete the order with matching checks.